Thursday's episode of Kaun Banega Crorepati 10 kicked-off with spill-over contestant - Anjuna Bhatnagar from Ghaziabad, who was assigned the title of "mastikhor" by Amitabh Bachchan. Ms Bhatnagar, who clearly had plenty of fun on the show, also shared an interesting story about having met Big B many years ago. Ms Bhatnagar revealed that she had met Amitabh Bachchan during a cricket match between stars and cricketers in 1987. Ms Bhatnagar, who was 30 at that point in time, said she had escorted a friend of hers to fetch an autograph from Big B, soon after which she apologised for what she was to say next. Ms Bhatnagar said Big B had also offered to sign an autograph for her, which she had politely rejected saying: "Nahi, phir kabhi baad mein le lenge." "Because I lost the chance then, that's why god has sent me here today," she said on the show. Apart from sharing her own accounts, Ms Bhatnagar also got Big B talking by firing incessant questions at him. "Have you ever been scolded by your wife?" she asked him when Big B let out the truth: "Every day!" 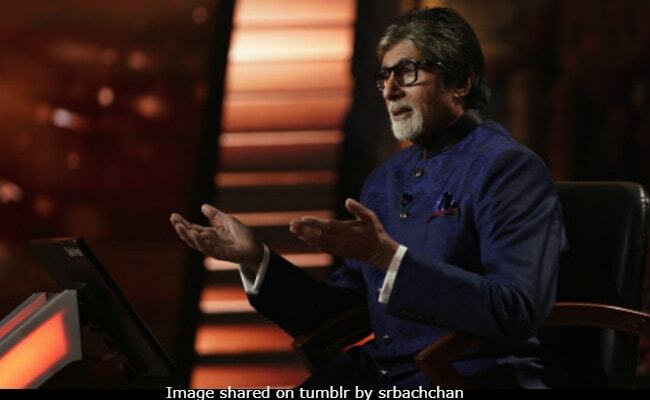 Amitabh Bachchan hilariously added that he is under the strict vigilance of his wife - veteran actress Jaya Bachchan. Meanwhile, here are some of the questions which Anjuna Bhatnagar tackled on the show. She won Rs 3,20,000 on the show. On Thursday's episode, Big B was also joined by another contestant, who will continue with his game on Friday. Which of these measures is the shortest in length? Which of these board games can only be played by two players at a time? Where in India is this animal (Lion) found in its national habitat? Common cold, polio and AIDS are caused by which type of diseases? In which year were the first two battles of Panipat fought? Which film personality was awarded the 2018 Dadasaheb Phalke Award posthumously? How many of the questions could you answer from above? Tell us in the comments below.